Archaeologist Sage Westfield has her first forensics case: investigating the murder of a teenage girl. Hidden by holly leaves, the girl's body has been discovered on the grounds of a stately home, where another teenage girl went missing twenty years ago - but her body was never found. With mysterious links between the two disappearances, the police suspect the reclusive owner, Alistair Chorleigh, who was questioned twenty years ago but never charged. 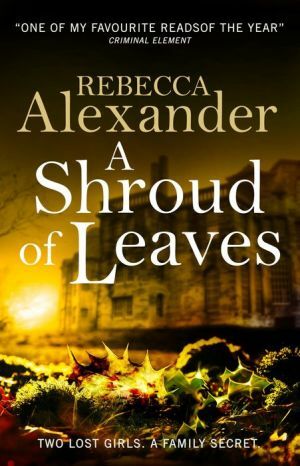 But when Sage investigates a nearby burial mound - and uncovers rumours of an ancient curse - she discovers the story of Edwin Masters, his friend Peter Chorleigh, and an excavation over a hundred years ago, that also ended in a mysterious disappearance. Still recovering from the traumatic events of her recent past, Sage will need both her modern forensics skills and her historical archaeological knowledge to unearth the devastating truth.